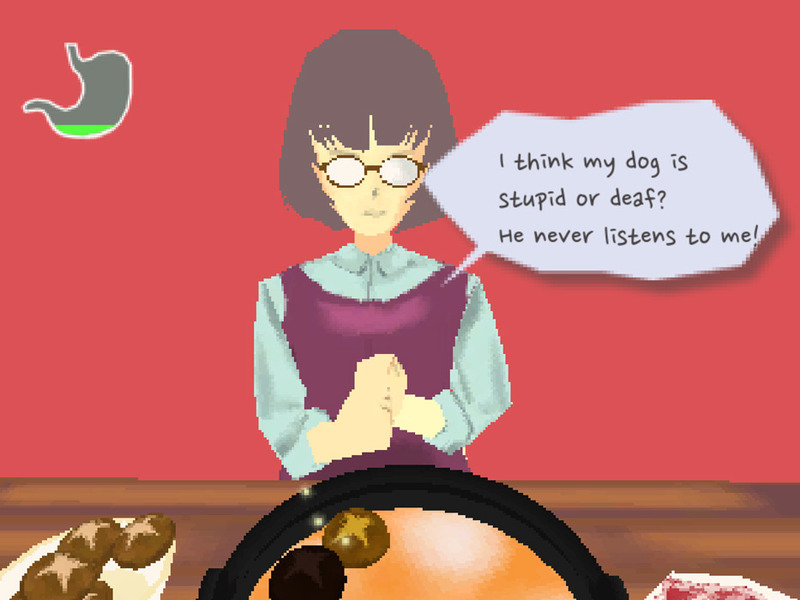 "Try to maintain conversation while not burning your food!" 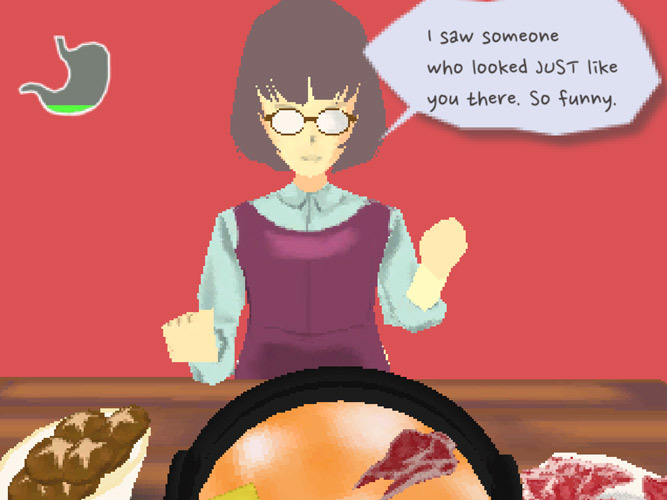 Hot Pot Panic is a unique combination of both a cooking simulation game and a dating simulator, you have been invited to the best hot pot restaurant in town by your friend however maintaining social decorum is your objective here and you must try to multitask by cooking your food in the hot pot provided to perfection without letting it become burnt, whilst all the time trying to maintain a conversation with your friend that has invited you to the restaurant. Using the W,A,S,D buttons you can look up, left, down and right respectively however it is very difficult to be able to see both what your friend is saying to you and also keep an eye on your food so that it doesn't overcook, and if you aren't able to focus on what your friend says when asked to respond it might not make sense or be offensive and your meal out could be over before it has even started. 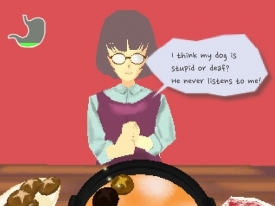 Hot Pot Panic is an interesting, unique and humorous game that is a lot more challenging than it sounds on paper and is a nice reflection of the difficulty of maintaining social interactions. 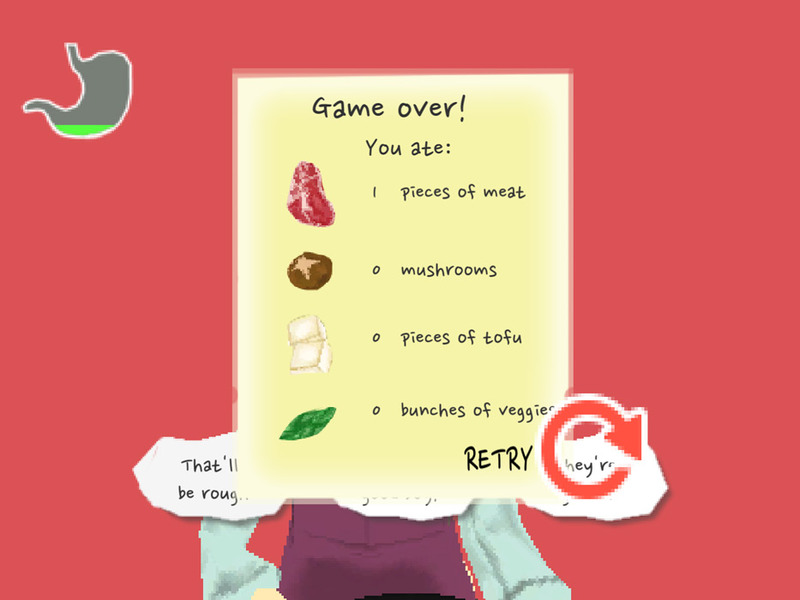 You can download Hot Pot Panic here for free.